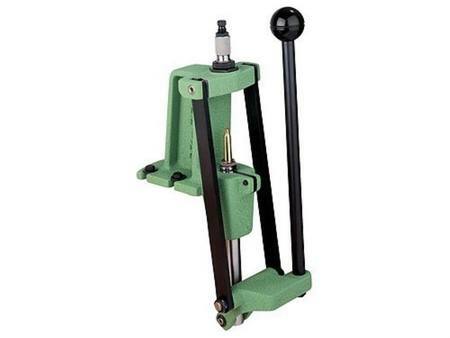 Its unique long link compound leverage system has more mechanical advantage over a greater distance than any other reloading press on the market. This makes “child’s play” of difficult case forming operations. the way when not in use. For maximum sensitivity at the lowest possible leverage, priming is done at the end of the ram stroke. Spent primers are automatically collected in the large diameter hollow ram. They then drop into a handy flexible plastic tube that can hold hundreds of spent primers before emptying, or be easily routed to your trash container.